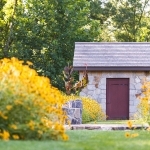 The Redding garden is a formal garden featuring a local vernacular of construction materials and details. 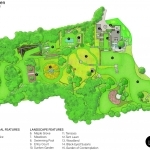 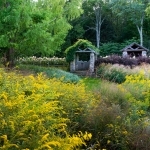 Eight acres of rolling terrain have been divided into a dozen and half garden rooms. 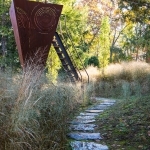 The approach to the property is through a tree-lined lane into a red gravel-surfaced parking court with a central medallion of the cardinal points. 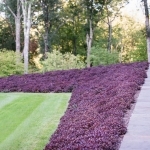 The main living terraces step down from the house to a large lawn designed for entertaining. 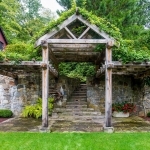 Features in the living spaces include a wisteria-covered rustic arbor, water feature, and dining terrace that is shaded by a 75-year-old copper beech tree. 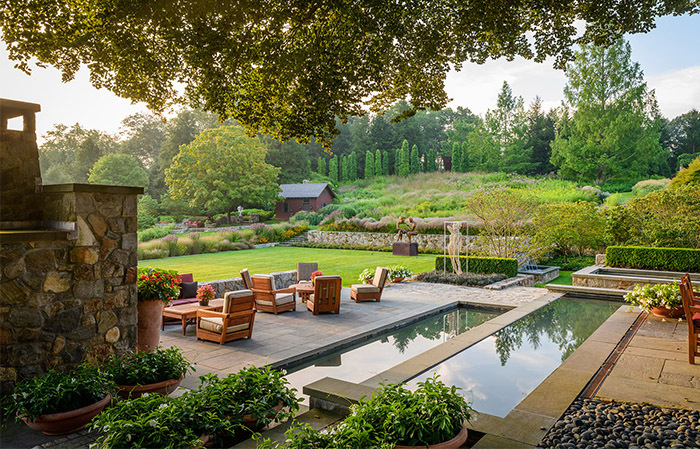 The outdoor kitchen and pizza oven are concealed behind a large-scale outdoor fire place. 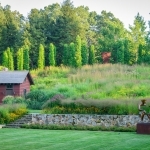 A symmetrically-organized sunken garden with sentinels of upright beech trees under-planted with roses is visible from the auto court, house and living terraces. 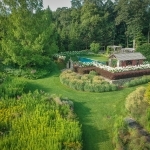 The swimming pool and formal fountain garden are set in a picturesque landscape planted with meadows, woodland gardens, and lawns. 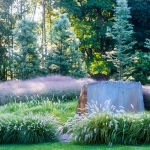 Each garden room offers expansive vistas through the garden and to the distant hills. 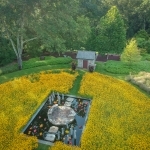 Eight water features act as focal points to various spaces, and a collection of figurative art is used to great effect in the landscape. 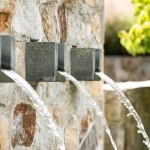 All walls are built of stone from the site. 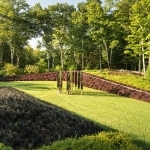 Locally cut and milled white oak was used for each of the arbors. 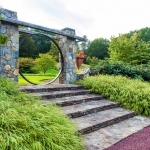 Bluestone was sourced from a quarry within 75 miles from the site. 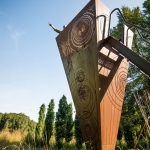 Local craftspeople were used for construction to emphasize sustainable development strategies. 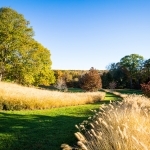 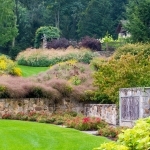 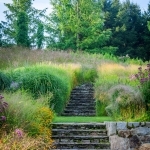 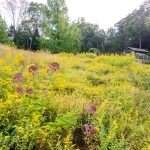 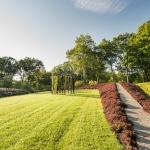 An emphasis on native plants provides environmental resiliency and allows the garden to fit beautifully into the Connecticut countryside.